Discussion in 'General' started by Workshed, Oct 6, 2017. Cannot believe they are adapting this from the Grant Morrison comic. Definitely one of the strangest books I've ever read, about a man who dies, only to come back to life with the vision of a blue unicorn that only he can see. The unicorn guides him to solve crimes. This is weird wild territory, folks. 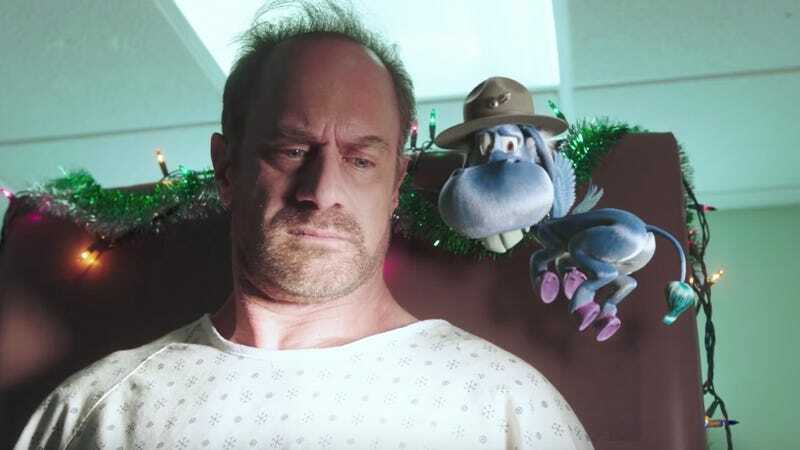 Christopher Meloni stars, Patton Oswalt voices the unicorn. Release: Dec 6th on SyFy. Looks crazy. Makes sense it's on SYFY. Will at least check out the first episode.